The library catalog is available online by clicking HERE. 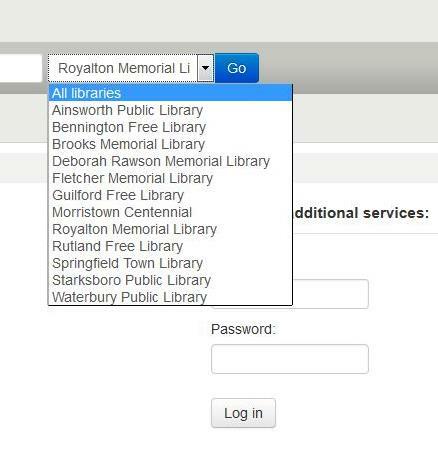 Search Tip: The search will default to Royalton Memorial Library holdings only. Use the dropdown menu to expand your search to include “All Libraries” within the Catamount Network. If the Catamount Library Network does not have the item, contact the librarian to initiate an Inter-Library Loan Request. This is a free library service for all patrons to borrow materials from libraries throughout Vermont and beyond.